To make a long story short, Tiger Woods had it all. He was probably the most successful and famous athlete in the world in 2008. He had money and endorsements. He was beloved by many and admired by kids. He was married and had two beautiful kids. He was on his way to becoming the greatest golfer of all time. From 1997 to 2008, Tiger won 14 majors. He was all but destined to bypass 18 major wins, set by Jack Nicklaus. He had the world by the tail. In 2009, the tail began to wag Tiger. Tiger’s wife allegedly took a 9-iron to Tiger’s SUV while he was in it. Within weeks, the details of his extramarital affairs with at least 10 women becomes public. He loses many endorsement. He enters rehab for a sexual addiction. His wife leaves him. His life falls apart. He doesn’t win another major for 10 years, in the prime of his career. in 2017, he gets arrested for allegedly driving under the influence. Since then, Tiger has had 3 serious back surgeries, blown his ACL, tore his achilles, and endured a neck injury. He took long periods off from golf. When he did play, he mostly didn’t play very well. Most people wrote him off. He is done, they said. And yet, in 2017, Tiger had back fusion surgery. He started to play better. He won the Tour Championship in 2018. 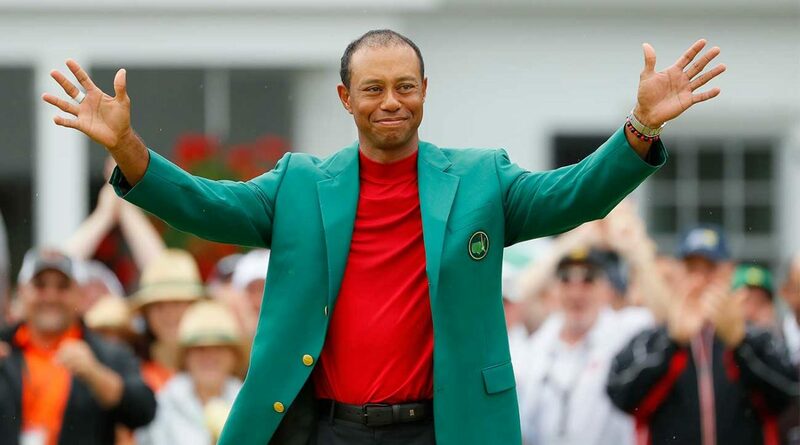 And yesterday, at the age of 43, Tiger won his 15th major championship at the Masters. Joe’s Perspective: While watching the Masters Tournament on Sunday with 12 friends, the host asked us who we were rooting for. All 12 of us said Tiger, me included. We all cheered when Tiger birdied 15 and hollered when he almost hit a hole in one on 16. Today, I wonder why. Ten years ago, he screwed over his wife. He let so many people down. He fell from grace. However, he came back. He made a comeback in his personal life and he made a comeback on the golf course. He endured. He tried. He changed. And America forgave. America is a sucker for someone who apologizes, makes a mends and overcomes all odds to make it back. America loves a happy ending. On Sunday, America got what it wanted – a true story of redemption. America fell in love with Tiger all over again. Your Turn: Do you think Tiger has earned his way back into a book on Role Models or should he not be allowed back in? Explain. I think that he is on his way but not yet. It does not matter that he apologized to America he also has to apologize to his wife and kids because that affected them more. I sincerely believe that given time, and actions, Tiger should be permitted reentry into Role Models, even though he made up to his fans his wife and kids still deserve an apology of their own. Following the apology and a fair amount of time without issue, Tiger would be a perfect entry into Role Models. Jury still out – let’s see how he exits the golf stage or when his body starts not performing as well. His win at the Masters was on par with Nicklaus, my hero, in 1986. The win captured everyone’s attention and admiration for his persistence at this high athletic level and how low he had fallen. Hi hugs for son and daughter were heart warming, I hope he has turned the corner on his indiscretions, time will tell!